Thanks for the help, Tom. I copied the URL from the properties dialog box. What's that big tank in the back? looks like a heating oil tank to me. It is an oil tank. I currently use the burners outside (way too hot to do indoors right now). Got a new (gas) furnace put in last month and have a friend who is gonna buy the 1/2-tank-full and haul away. then I can put the RIMS to the back wall, and fab some kind of exhaust. Thought it was a boiler or something. We don't suffer the cold down here so basements and that sort of stuff is alien. And yes. Exhaust or go electric. 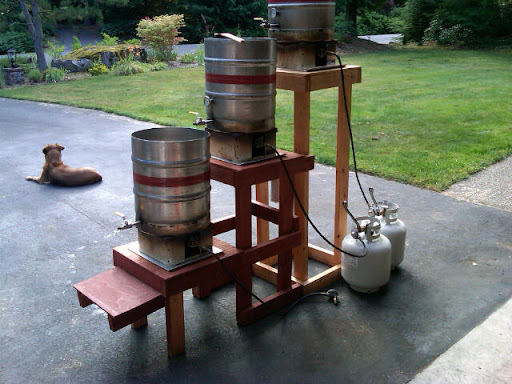 I am planning to build something very similar and I am struggling a litle with how to fix the burners to the top of the wood and underneath kegs. Your set up looks interesting. 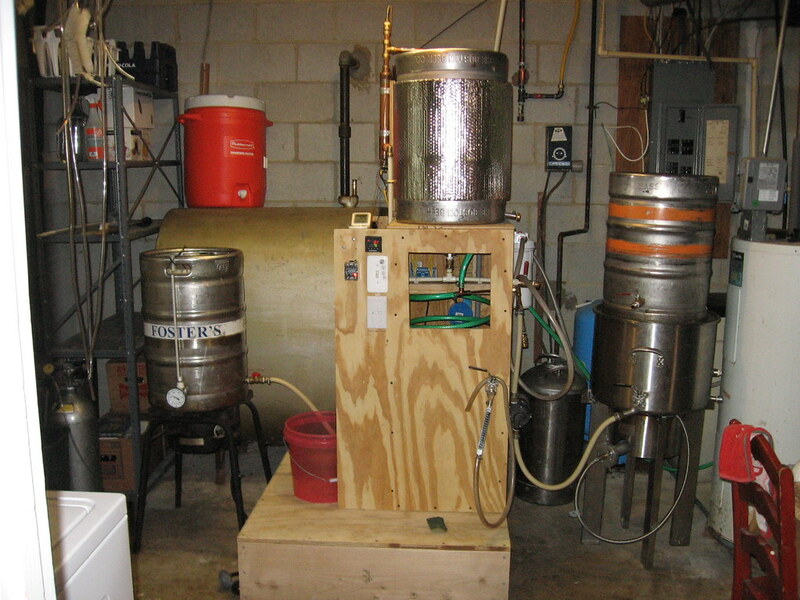 Would you be able to give any more details on the burner set up, what looks like a wind sheild and what is supporting the kegs Looks like they are all one and the same. Yes, they are three identical burner set ups. They are not attached to the wood, they are just resting on top. 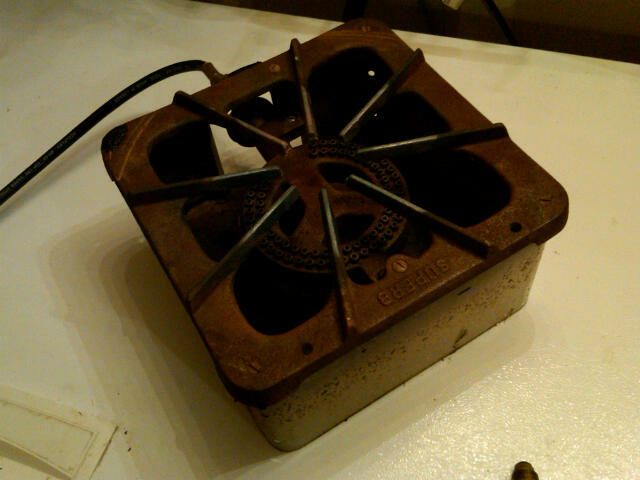 The burners are in cases that say Superb on the, And now you know as much about them as I do. It's nice to have your own brew stand, but it's even better to have a good dog to guard it. Mine is wood painted with high temp spray paint. The wood under the burners doesn't get that hot though.